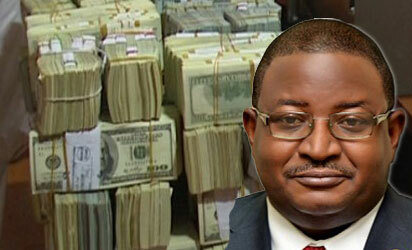 The Federal Government, on Friday, preferred nine-count money laundering charge against former Group Managing Director of the Nigerian National Petroleum Corporation, NNPC, Mr. Andrew Yakubu, who was accused of stashing over N3billion at his house in Kaduna. Operatives of the Economic and Financial Crimes Commission, EFCC, recovered the alleged loot which was in foreign currencies, from Yakubu’s guest house situated at Sabon Tasha, Kaduna State, following a tip-off by a whistle-blower. EFCC said it had while raiding the house, discovered the sum of $9.7million and £74,000 that Yakubu hid in a fireproof safe inside the house. A Federal High Court in Kano, on February 13, granted an order that forfeited the recovered money to FG, a decision Yakubu had since challenged, maintaining that the money was accumulated gifts he received during different ceremonies. Meantime, in the charge marked FHC/Abj/ CR/ 43/ 2017, which was filed before the Federal High Court in Abuja, FG, alleged that Yakubu failed to declare the money in the assets form he filed at the EFCC on August 18, 2015, and thereby committed an offence contrary to section 27(3) (a) of the EFCC (Establishment) Act 2004 and punishable under section 27(3) (c) of the same Act.